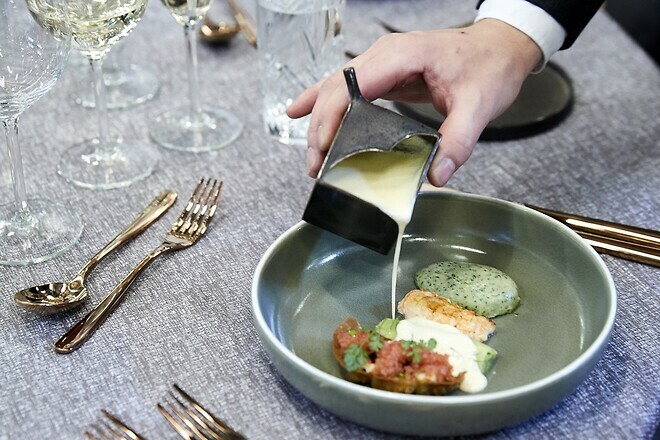 A new partnership between the interior and design fair Formland and the industry association HORESTA brings together aesthetics and gastronomy when the Chef of the Year and the Waiter of the Year competitions are held at Formland Spring. The next edition of the well-known interior and design fair Formland, which is held at MCH Messecenter Herning, Denmark, twice a year, will be hosting a number of prestigious professional competitions from the world of gastronomy when the Chef of the Year, Waiter of the Year, Trainee Chef of the Year, Trainee Waiter of the Year and Receptionist of the Year competitions are held at Formland Spring on 31 January - 3 February 2019. The competitions, which are organised by the trade association HORESTA, function as the Danish championships within the respective categories. Visitors to Formland will thus have the opportunity to see the culinary stars at close quarters when they compete at cooking, serving and service. 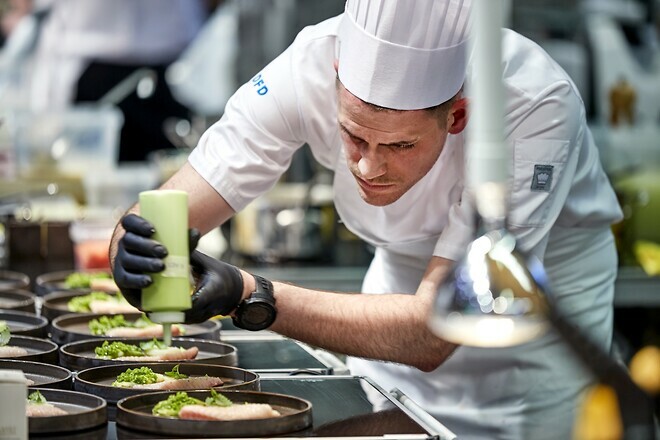 Previous winners of Chef of the Year counts, among others, Michelin-starred chefs such as Rasmus Kofoed and Soren Ledet (Geranium) as well as Torsten Vildgaard (Noma). "At HORESTA, we're delighted to be expanding our amazing collaboration with MCH on organizing gastronomic competitions. Chef of the Year, Waiter of the Year and the Danish championships for trainees bring together some of the most skilled professionals in Denmark. This is the first time that we have the opportunity to be part of Formland, and we're very much looking forward to it. For HORESTA, it makes a lot of sense to think about Danish gastronomy in the context of Danish design. Both gastronomy and design are all about innovation and aesthetics, and about creating unique experiences. Also, Danish design and Danish cuisine are well regarded internationally," says Katia K. Østergaard, CEO at HORESTA. The professional competitions were last held at Foodexpo in MCH Messecenter Herning, and the competitions will continue to be held here in the even years. "At MCH, we've been working closely with HORESTA for many years, and therefore I'm delighted that our cooperation on organizing the professional competitions is now being expanded to include Formland as well as Foodexpo. The hotel, restaurant and café sector is already strongly represented in terms of the visitors to Formland, just as several of our exhibitors are associated with these industries, and we're therefore very pleased to be welcoming stars from the world of gastronomy to the design and interior fair," says Henriette Træholt, project manager at MCH Messecenter Herning. The professional competitions will take place in Hall E at Formland Spring on 31 January - 3 February 2019 in MCH Messecenter Herning.